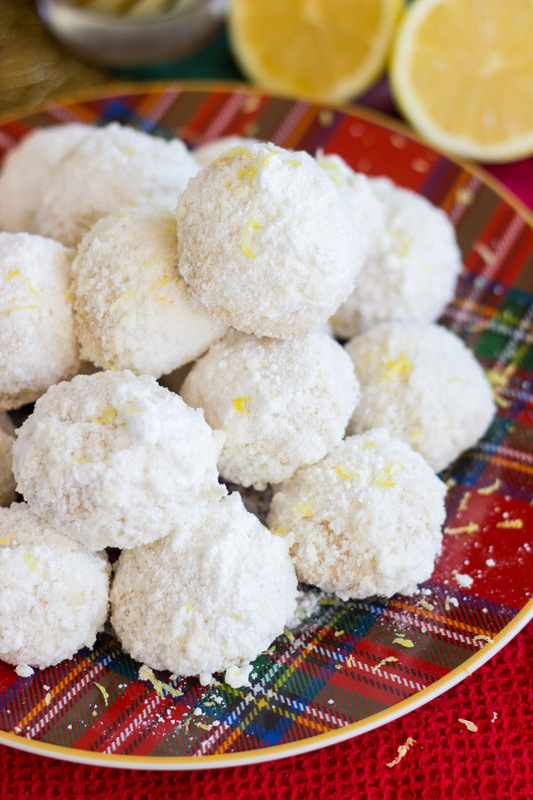 Just a few ingredients transforms classic Snowballs into Lemon Snowballs for a new twist. 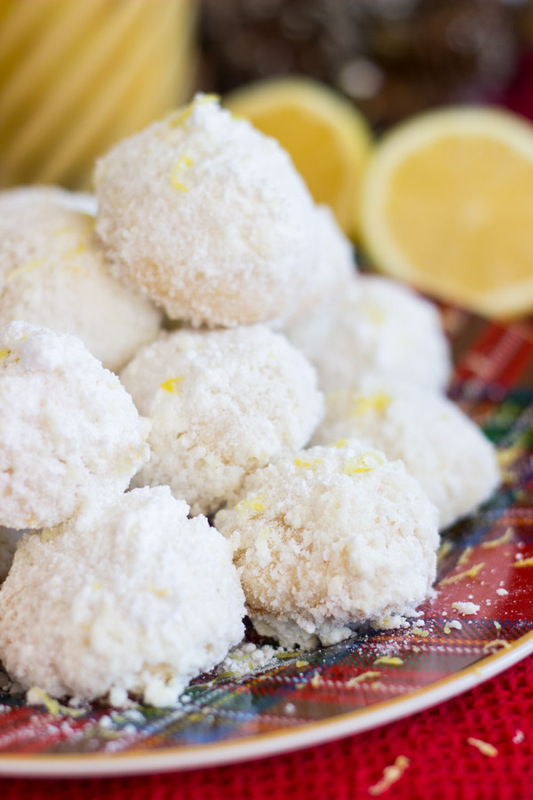 With fresh lemon juice and fresh lemon zest, these Lemon Snowballs are sweet and tart, and bursting with lemon flavor. 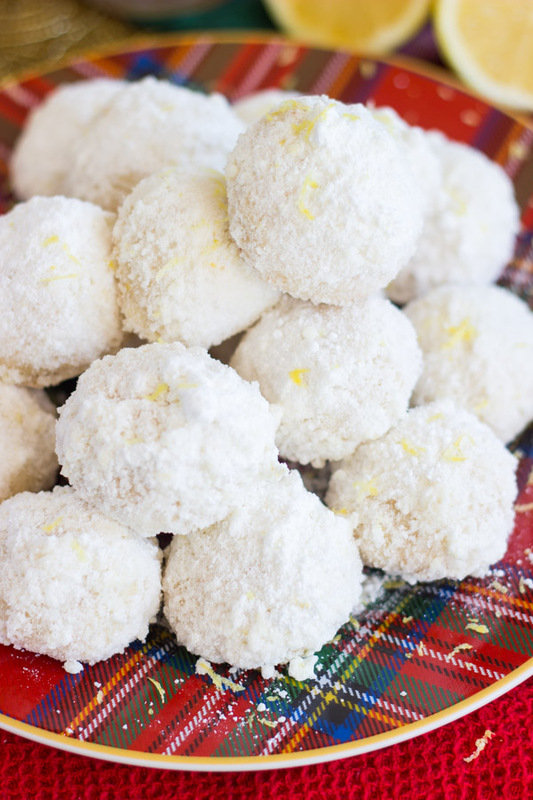 LEMON Snowballs! Did you know they’re a thing? They are! How exciting is this! Please tell me you love lemon stuff as much as I do. 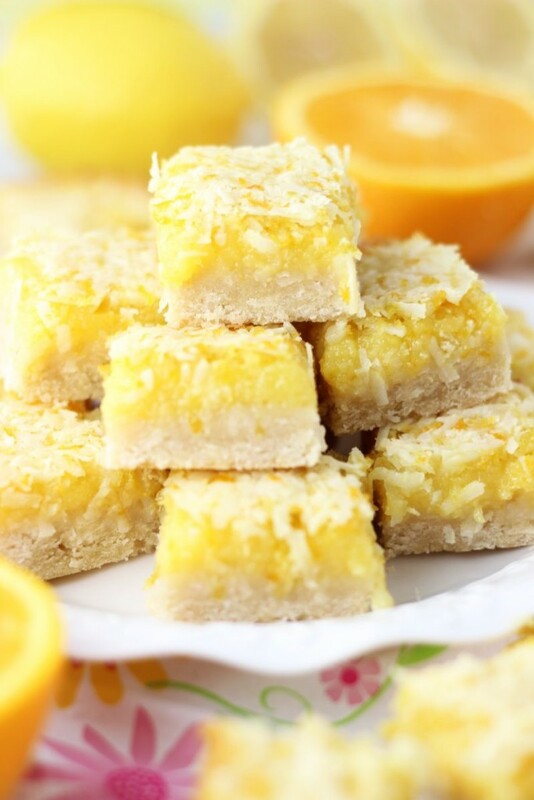 It seems like a really random kind of dessert to be into, but you guys usually love lemon stuff! I’ve noticed this pattern. This Lemon Blueberry Bundt Cake is a super popular recipe of mine, and these Easter Chicks Lemon Cookies are really popular too, but maybe that’s because they look like chicks and are adorable. Maybe it’s not even about the lemon at all. You love this Lemon Cream Pie Fudge, of course it only takes like 10 minutes to make it, so that could have something to do with it. 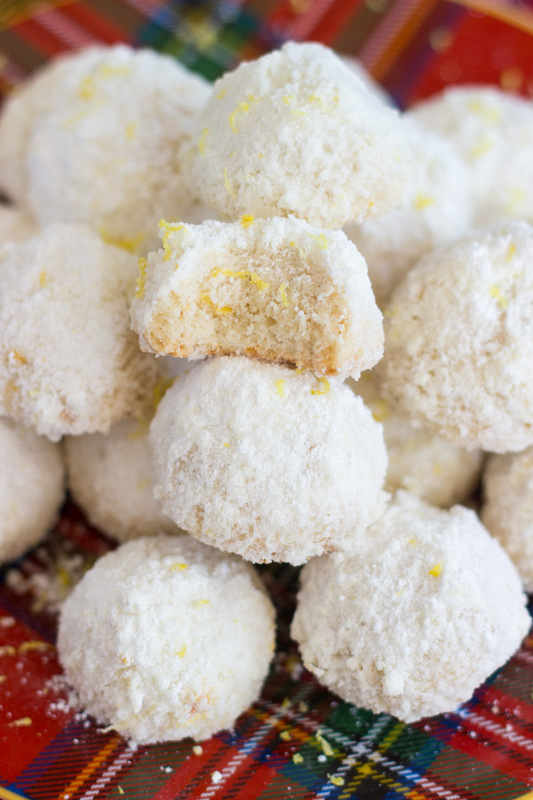 Finally, these Lemon Almond Ricotta Muffins are a highly pinned recipe of mine on Pinterest. They are the most moist muffin you’ll ever taste. I have a ton of other lemon things, but these seem to be the favorites. Anyway, you guys take to lemon stuff, or so it seems. I’m with you – I love it. 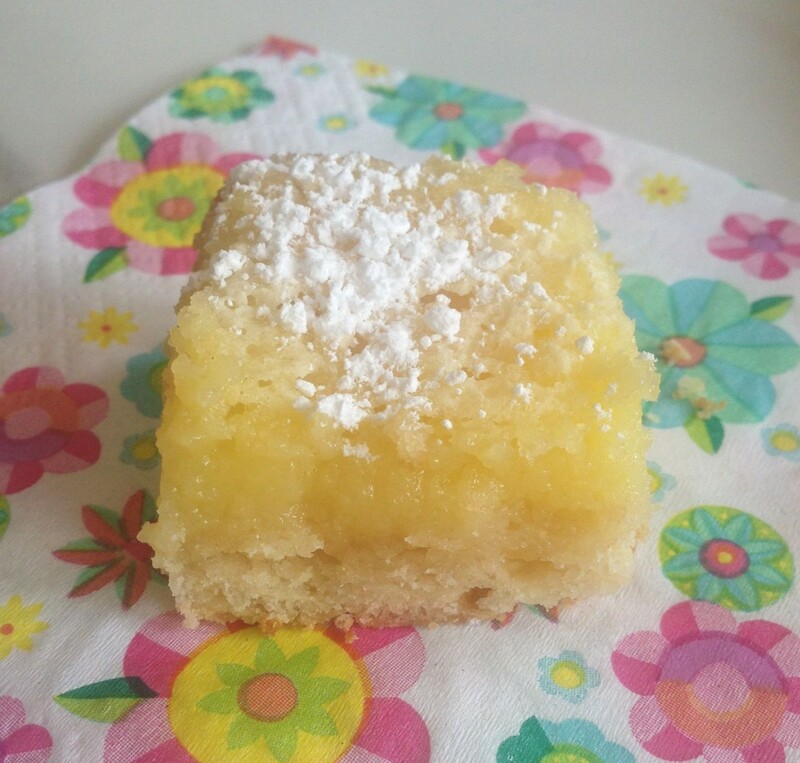 My Grandma’s Lemon Bars will always be one of my favorite desserts. When I was in Erie visiting my family over Thanksgiving, my mom gave me a stack of old cookbooks and magazines to go through. This is a common ritual that happens just about every time I go home for a visit. I don’t mean old, as in, they are from a few months ago. Sometimes that’s the case, but usually we’re talking about magazines and books from a few decades ago. We were at my Gma’s house when she gave them to me, so I’m guessing that a lot of these came from my Gma’s collection. These were ’60s and ’70s issues. 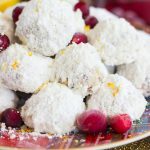 Flipping through, I came to a recipe for Lemon Snowballs! Needing more exclamation points and excitement at this discovery: !!!!! I loved the idea. I didn’t even look at the recipe itself. 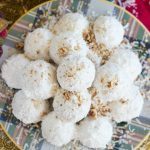 I just stole the idea of Lemon Snowballs, and applied it to our family recipe for Snowballs. I knew it would be incredibly easy to adapt the classic version into a lemon version. 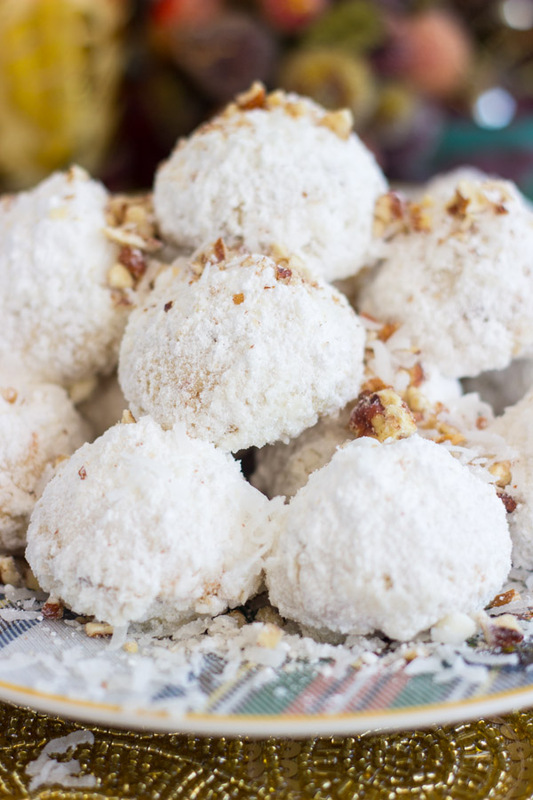 All these Snowball recipes for Snowball week are incredibly simple, btw. 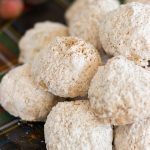 I added 1-3 ingredients, and that’s all it took to ‘transform’ them into something new and different. This recipe is no exception. You need lemons, and that’s it. I used a little fresh lemon juice and fresh lemon zest. Boom. 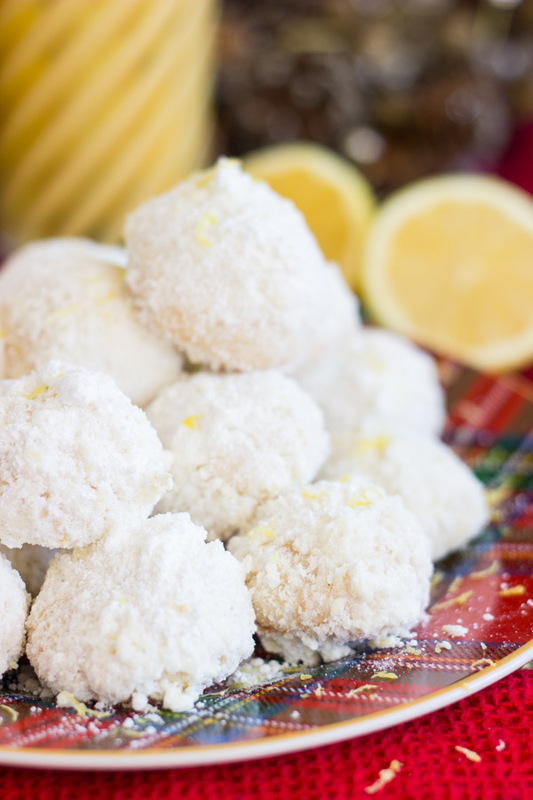 Lemon Snowballs. 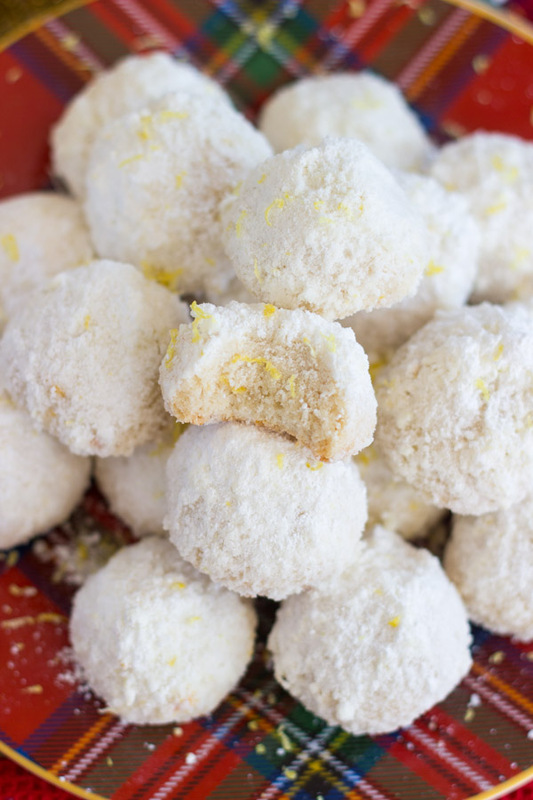 I added lemon juice and zest to the dough, and lemon zest into the powdered sugar dunk. I actually think these would be a really nice Easter cookie too. 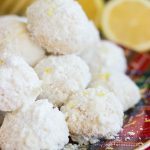 I know that Snowballs are typically a Christmas/winter thing, but let’s call them Lemon Drops or Lemon Teacakes or something more holiday-neutral, and make these in the spring too! 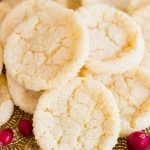 In a large mixing bowl, beat shortening, 1/2 c. powdered sugar, flour, vanilla, 1/2 the lemon zest, and lemon juice, until mixture is well-combined. Shape into scant 1-inch balls. 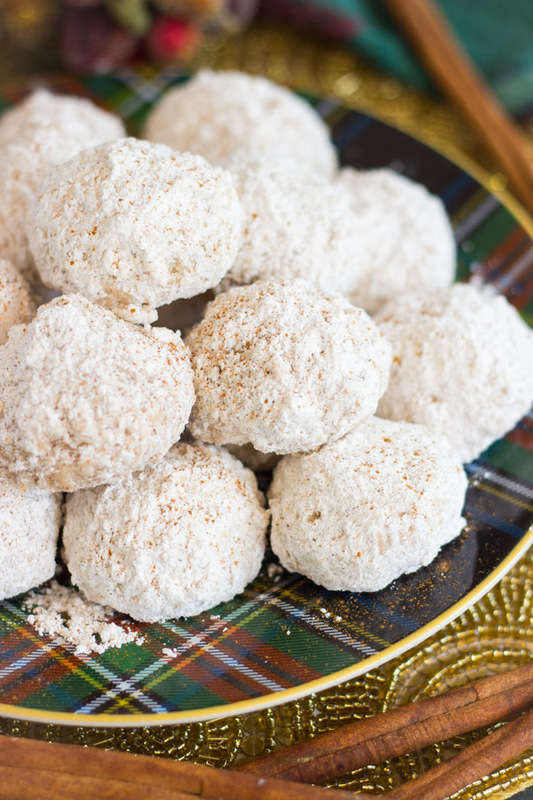 Place balls two inches apart on parchment paper or silicone mat-lined cookie sheets. Bake at 325 degrees for 20-22 minutes, or until they appear set. 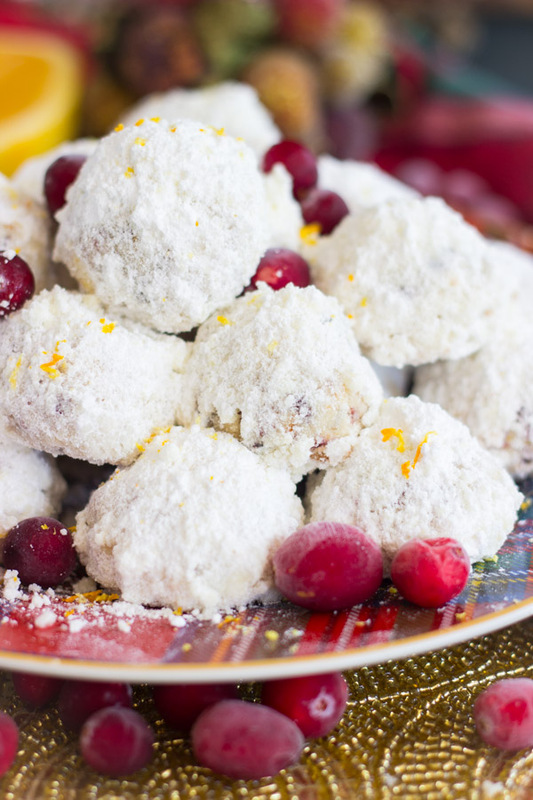 In a medium bowl, whisk together remaining lemon zest and remaining powdered sugar. Move to wire racks to cool completely. 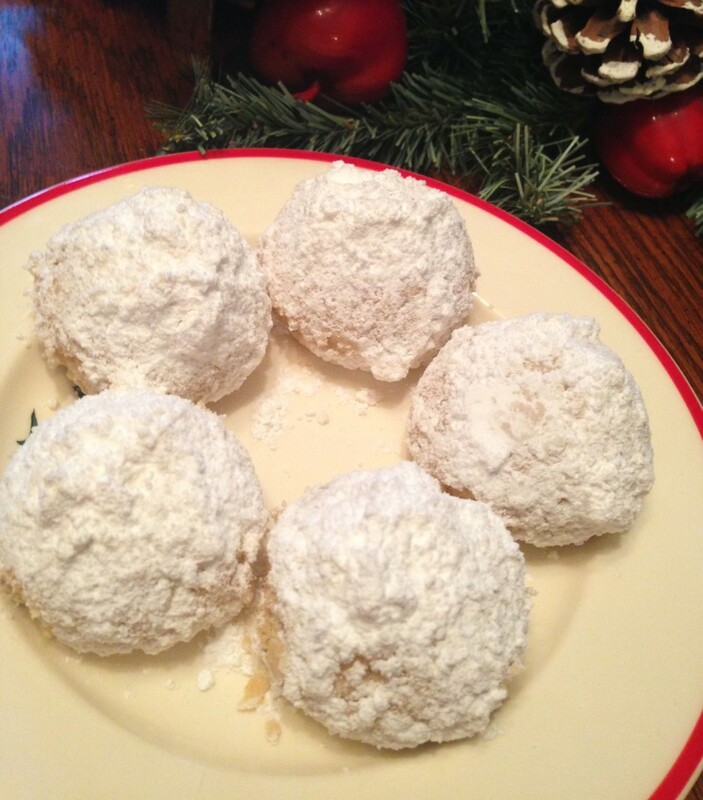 For dunking snowballs, I like to arrange the powdered sugar in a large deep dish pie plate. 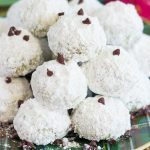 I use two small forks to lift the cookies from the cookie sheet, and then I set them in the pie plate, and basically bury them in powdered sugar using the forks to 'scoop' it over the tops of the snowballs. I usually can fit 5 or 6 at a time in the pie plate, so I'm not doing this one by one. I let them sit for a minute so that the sugar melts on the surface of the cookie, and it does a better job of sticking. I also don't really try to remove any excess. It usually 'sets' on the cookies pretty well as they cool.